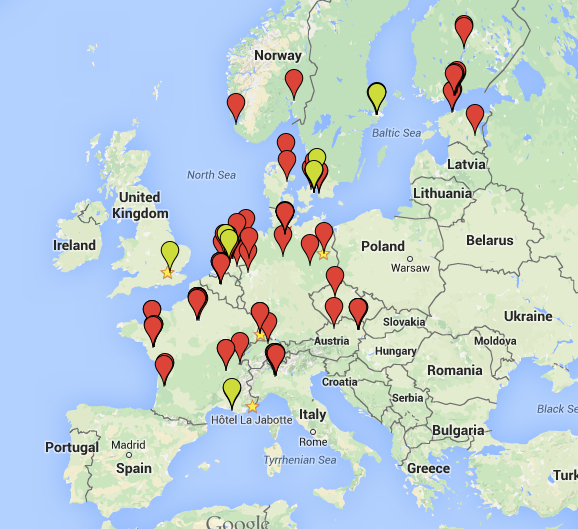 I am preparing to visit up to 100 housing schemes across northern Europe from August 1st – October 3rd 2015. If you know of any others I should not miss near the cities I am staying in, please do send me an email. I will be crediting all architects and developers where known, and speaking to residents on the way round to get their view. Nutter. When are you in Austria – Italy – Geneva? September. See Travellerspoint link and click on left sidebar. Good luck with the travels Claire. I’m looking forward to following along. This sounds amazing. I’m so jealous. Out of interest what criteria are you going to think about when considering each of these places? Or will it be more qualitative? Claire, this reads like a very delicious menu – don’t forget Het Schip in Amsterdam – hetschip.nl – and whilst in Stockholm take a peek at the Stadshuset (as a break from the housing). Seems like you’ll be too far away from the Waldspiral in Darmstadt….